Show your love for the all time greatest piece of Spanish Literature, Don Quijote by Cervantes, with this stylish monochrome wall vinyl. 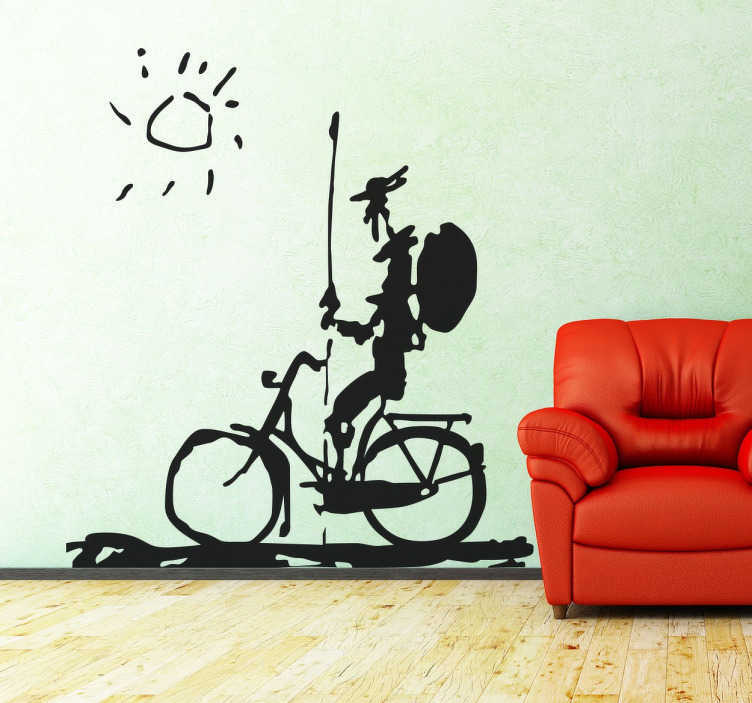 Showing the protagonist himself riding his bicycle in the sun, this artistic wall mural is suitable for any room in the home as well as outdoors. Also available in a variety of different sizes, this sticker would also be appropriate for children's rooms, inspiring creativity into young minds.